As it opened up dispensaries across the country, MedMen has been the poster child for the fast-growing mainstream cannabis industry. But a new report suggests the Los Angeles-based startup could be running on fumes. Financial statements released last month showed that the company did not have “sufficient funds generated from operations” to cover its short- and long-term needs, and needed to find more financing, according to a CNBC report. A former executive at the Culver City company claims in a January lawsuit that he raised concerns about MedMen’s finances. James Parker, the former CFO, alleged he was forced out after expressing concern about spending, along with alleged unprofessional behavior by CEO Adam Bierman and President Andrew Modlin, according to the suit. 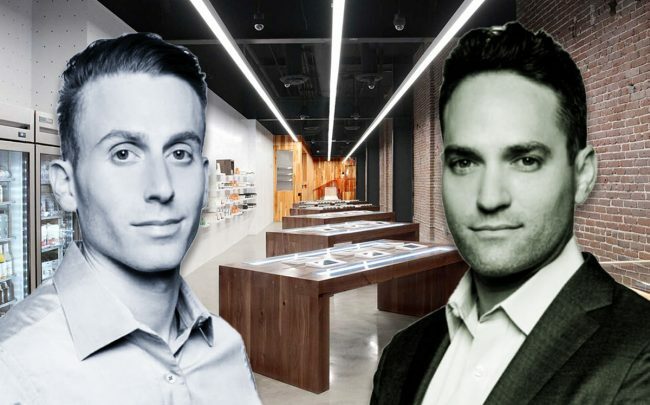 MedMen operates in half a dozen states and is trying to establish itself as a leading mainstream recreational brand with high-end products and sleek retail locations. The company also cultivates cannabis and manufactures products, and sells medical marijuana. Just this week, the company announced it had secured a $100 million loan from cannabis industry lender Gotham Green Partners. The firm said it will use the money to expand its locations in Florida, among other things. Gotham agreed to lend MeMen another $150 million based on stock performance. MedMen is listed on the Canada’s stock exchange. MedMen’s stock value cratered nearly 60 percent between October and the Gotham announcement this week. Its shares total $1.6 billion, down from $3 billion last year.